The Cathedral of St. John the Divine—begun in 1892 and still unfinished—is one of the city’s most magnificent houses of worship, occupying 13 acres on a plateau on Amsterdam Avenue and 112th Street. 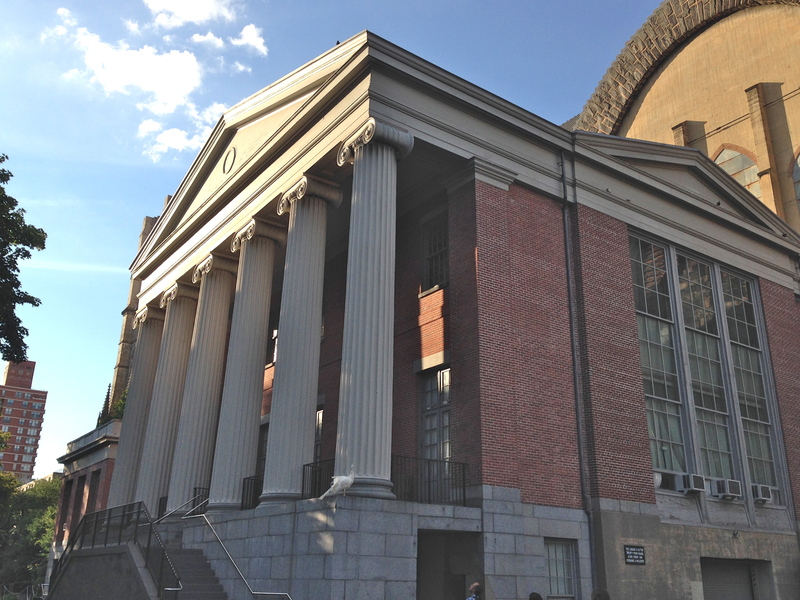 But there’s a building on the cathedral grounds that predates St. John’s by 49 years and stands as a reminder of how 19th century New York handled parentless or unwanted children. The lovely building is the former home of the Leake and Watts Orphan Asylum, built in 1843 when this part of Manhattan was wide open countryside. 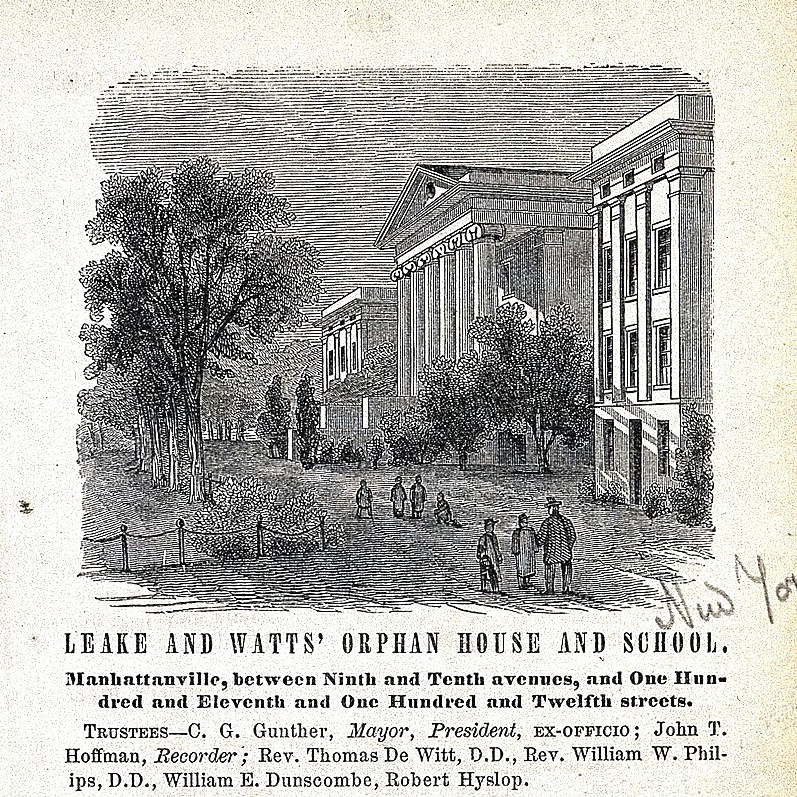 Leake and Watts cared for “full orphans, between the ages of three and twelve years,” according to the 1892 King’s Handbook of New York City. The orphanage was founded by wealthy lawyer John Leake, who died in 1827 with no heirs. He left his fortune to a good friend’s son, Robert Watts, on the condition that he either adopt the surname Leake, or forfeit the money so it could be used to open an orphan asylum. 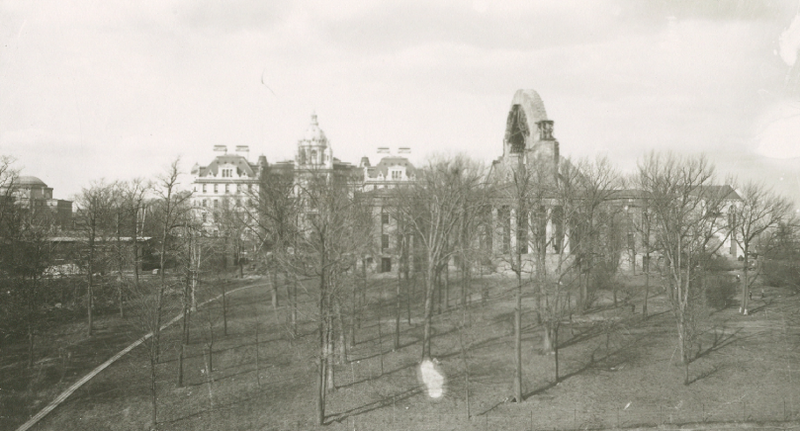 Watts died before he could inherit the fortune, however, so the orphanage got the go-ahead. At its opening, the orphanage housed 60 boys, and soon girls were cared for there as well. “Here the institution cares for homeless and friendless orphans, educating them and, at the age of 14, finding Christian homes for them,” states King’s Handbook. 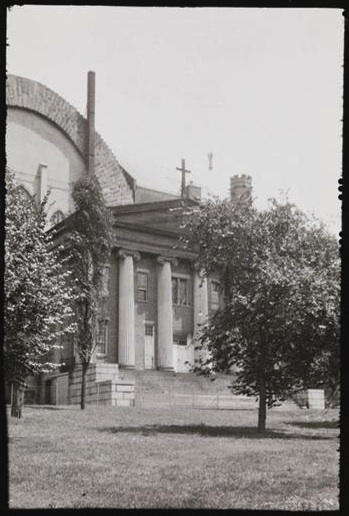 After four decades in the open country of Morningside Heights, Leake and Watts sold their land to the trustees who planned to build the Cathedral of St. John the Divine. 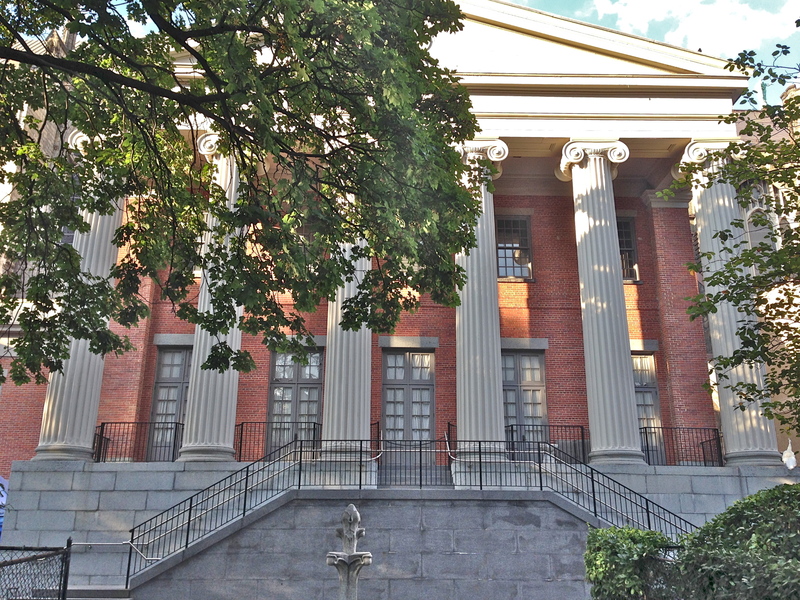 Leake and Watts moved their orphanage to Yonkers, abandoning the Greek Revival-style building with its impressive Ionic columns. One wing was sheared off in the 1950s, but the Ithiel Town Building—named after its architect, who also designed Federal Hall downtown and St. Mark’s Church on East 10th Street—still remains. This entry was posted on August 24, 2015 at 6:15 am and is filed under Houses of worship, Out-of-date guidebooks, Upper West Side/Morningside Hts. You can follow any responses to this entry through the RSS 2.0 feed. You can leave a response, or trackback from your own site. Lots of great history here for anyone interested in old NY history.